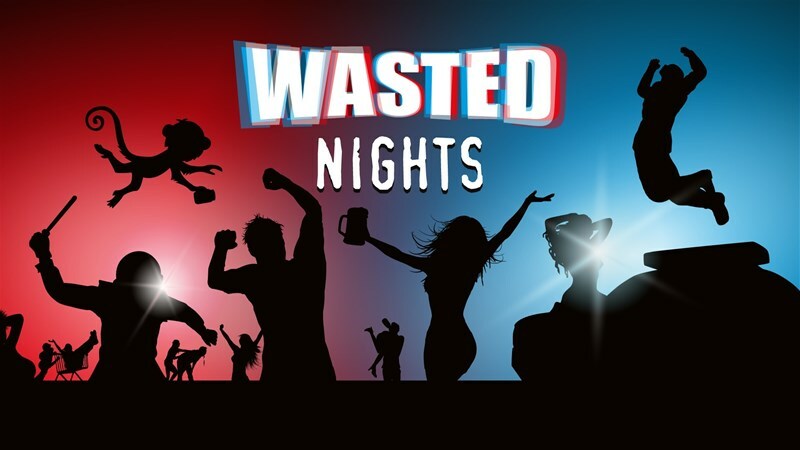 Wasted Nights is the Project X version of a booze tour you‘ll never forget! Among other things, because you‘re not in danger of waking up with a hangover and a blackout. It‘s the first drinking game you can play absolutely sober without losing the point of a drinking game! Players draw action cards in turns simulating the alcoholized brain and its ability to create insanely funny embarrassing and/or dangerous situations. The goal is to party as long as possible! If you get arrested or die you lose! As rising alcohol levels lead you to stupid or potentially deadly actions the game becomes more and more intense. So if you‘re a real party animal and you like to get wasted but don‘t want to end up in a drunk tank with a hangover then please help us to make the dream of the hangoverless party come true. We think you will love it as much as we do!